The state of California has filed a lawsuit against the Department of Commerce Monday night after the department said the 2020 U.S. Census will include a question about citizenship status. The state of California filed a lawsuit against the Department of Commerce Monday night after the department said the 2020 U.S. Census will include a question about citizenship status. 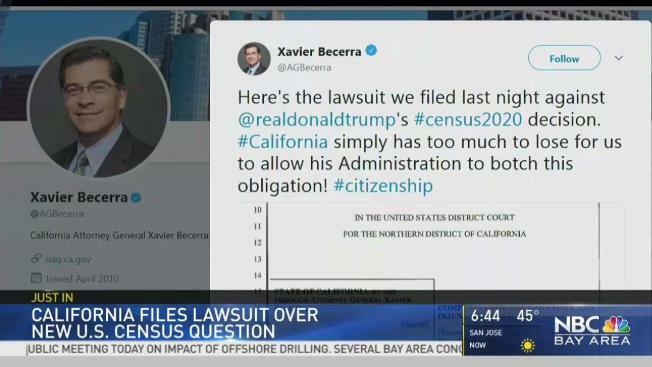 A coalition of state attorneys general urged the department last month to not add such a question, including California Attorney General Xavier Becerra who said, "Including a citizenship question on the 2020 census is not just a bad idea — it is illegal." State attorneys said the question could lower participation among immigrants and cause a population undercount. Press secretary Sarah Sanders says the White House "supports" the decision but it "was made at the department level." Congress delegated to the secretary of the Commerce Department the authority to determine census questions. Commerce Secretary Wilbur Ross had until the end of March to submit the list of questions to Congress. The department said the citizenship information would help the Justice Department enforce the Voting Rights Act, which protects minority voting rights. 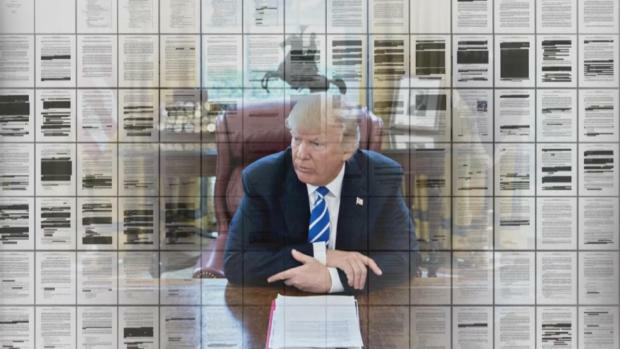 "Secretary Ross determined that obtaining complete and accurate information to meet this legitimate government purpose outweighed the limited potential adverse impacts," the department said in its announcement. Senate Minority Leader Chuck Schumer said that President Donald Trump and Ross "should be ashamed of themselves" and that "hopefully the courts will correct this glaring abuse." “Let’s call this like it is: the census, written about and hallowed in the Constitution, is being distorted by this administration for political purposes," he said. Democratic lawmakers had been bracing for the decision in recent months. They've held press conferences and made it a point to question Ross about his thinking during appearance at congressional hearings. But some Republican lawmakers hailed the decision. GOP Sens. Jim Inhofe of Oklahoma, Tom Cotton of Arkansas and Ted Cruz of Texas had sent a letter to the Commerce Department asking Ross to add the question. The Commerce Department said that between 1820 and 1950, almost every decennial census asked a question on citizenship in some form. Census counts are taken by mail and by workers walking neighborhoods. The Census Bureau says that the 2010 census drew a massive response, with about 74 percent of the households mailing in forms and the remaining households counted by workers in neighborhoods.